When you walk into a building that has multiple floors inside of it, the first thing you probably do is look around for an elevator . 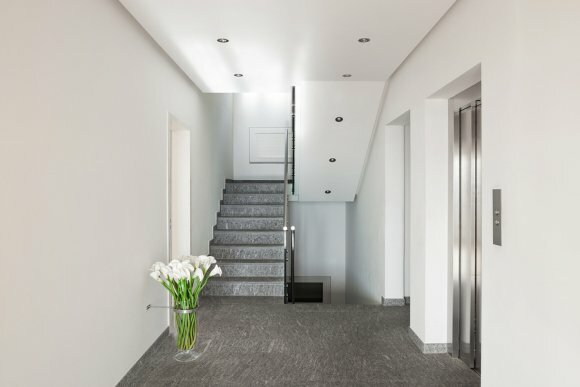 Elevators are used to carry people from one floor to another within a building, and they make it easy to live or work in a building that has many floors. Before you install an elevator in Salt Lake City, though, it’s important to understand how elevators work. Here are the two main types of elevators along with a brief explanation on how they are able to transport people from floor to floor inside of buildings. A hydraulic elevator contains a cylinder, a piston, a fluid reservoir, a rotary pump, a valve, and hydraulic fluid, and it relies on basic hydraulic principles to move up and down. When you instruct a hydraulic elevator to take you to a higher floor inside of a building, the pump will send fluid into the cylinder and close a valve that will pressurize the fluid and push the piston up. This will propel the elevator upwards and, once it reaches your desired floor, the pump will shut off and the elevator will eventually stop moving. To go down, the opposite action is taken with the valve opening and releasing fluid back into the reservoir as the elevator moves back down towards the ground level. A roped elevator contains steel ropes, a sheave that is used to hoist the ropes, an electric motor, a counterweight, guide rails, and a gear train. This type of elevator is similar to a seesaw in that it works to balance the weight of an elevator car in addition to the weight inside of the car with the counterweight. The motor is used to move the elevator up or down based on where you want it to go. 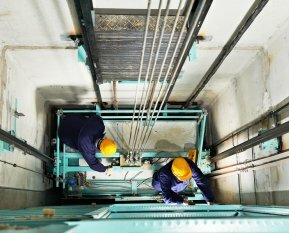 Regardless of what type of high quality elevator you install in a building, it should come equipped with reliable safety systems that will prevent an elevator car from freefalling. Safety systems need to be maintained regularly to ensure they are working properly.